My favourite cookies! 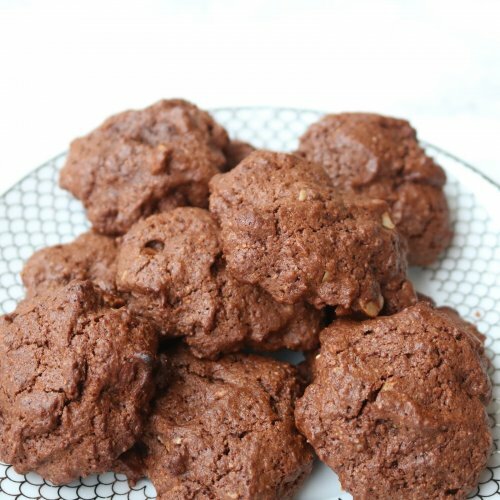 These are so good - chocolaty, caramely and crunchy bites of yumminess. The almonds are rich in vitamin E but can be easily substituted with any other nut or coconut flakes and the coconut sugar gives these cookies a lovely caramel taste. Preheat the oven to 170 degrees and line a baking tray. Cream your sugar and coconut oil together. Beat your egg in a separate bowl, then add to the creamed butter and sugar, mix gently. Slowly add in the flour a little at a time and mix in with a spoon. Lastly add in the salt, baking powder, raw cacao and almonds and mix well. Roll into small balls and place on your baking tray. Slightly flatten each ball out into a cookie shape. Bake for 8 minute and the let them cool. Top with orange zest before you dig.